Phil de Fégely has auctioned and sold all sorts of things, in all sorts of places. In a career spanning nearly 30 years, he is highly regarded and sort after as an auctioneer, speaker and coach. His experience has taken him to many parts of the globe and this has enabled him to assist his large client base to further improve their pursuits and outcomes! Phil de Fégely has sold and auctioned all sorts of things, in all sorts of places, from cattle to cars, furniture to fish, horses to houses, memorabilia and much, much more. Since 1983 he has traveled widely throughout Australia and New Zealand selling and conducting auctions; he even worked alongside the elite US auctioneers at GM headquarters in Detroit. From his days at school it seemed Phil was destined for a life on the land. This became a reality returning to the bush to spend time on the family farm in western Victoria and a number of months on the Barkly Tablelands in the Northern Territory. Unfortunately the drought of 1982 saw him leave the tractor and wool shed behind. For a year he helped rebuild fences and gardens on Mt Macedon and its surrounds after the devastating fires of Ash Wednesday. This was followed by a brief stint in Sydney and then on to Melbourne to start a new career. Phil commenced work with a company wholesaling and retailing seafood and game products sourced from local and international growers. Their clients were many and varied including well known restaurants of the time. He also spent several days a week attending the Footscray Fish Market and that is where his interest in auctions was spawned. In 1985 he accepted a position with Fowles Purdy Pty Ltd (which became Fowles Auction Group then ManheimFowles and now known as Manheim) in their fledgling vehicle division. At that time, there were only 4 people permanently employed in the vehicle division of the company. Phil experienced huge growth during his time at the company and became an associate director. In 1998, at his departure the company had grown to over 500 employees but he felt he needed a further challenge. He accepted a position with leading Melbourne Real Estate Agency, Marshall White and Company and remained with them in a full time capacity until the end of 2003. A fully licenced estate agent, he still contracts to the company in a coaching and auctioneering capacity. 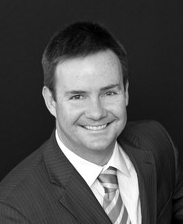 From 2012 to 2015 Phil conducted auctions for McGrath Estate Agents in the ACT. Phil’s training career commenced in 1990 with the establishment of a national auction school for the Fowles Auction Group. He continued running that school until his departure and still acts as a consultant to the company on a regular basis. During his time at Fowles he was approached by Matt Nichols, Nichols Crowder and a former REIV board member, for one on one coaching to give him a different perspective of auction. They worked at refining Matt’s skills in a Brighton park and continued to do so once Phil entered the industry. In 2003, he completed his Certificate IV in Work place Training and Assessment and commenced working on a part time basis with the Learning and Development departments with the Real Estate Institute of Victoria (REIV) and subsequently with the Real Estate Institute of Tasmania (REIT). This involved facilitating subjects such as; Sales, Ethics, Risk, Documentation, Auction and Customer Service. This was the basis from which he has formulated his very own successful Auction Assist Program for both companies and individuals alike. Phil regularly facilitates group training within real estate companies. He is called upon to assist with auctioneer accreditation and running forums, seminars and specialist “one on one” session to raise the delivery standard. For 6 years Phil was auctioneer coach for McGrath Estate Agents who have offices in NSW, QLD, ACT and Victoria. Phil was a twice finalist in the Victorian Auctioneers Final. Since then he has worked with a number of people who have gone on to win the Australasian Senior, Vic , NSW & WA Senior and Vic Novice Real Estate Auctioneer Championships.He also assisted livestock auction champions who competed at international auctioneer’s competitions in Calgary, Canada. In 2004, Phil and his wife Jane formed de Fégely Pty Ltd which provides, an auctioneer on request, consultation and coaching business supporting; not for profit organisations, real estate agencies and corporations. The company’s client base has grown throughout Australia and the US. In 2007, Phil become a director of MGI Melbourne Corporate Advisory which has included the establishment of Property Trusts that have purchased properties in the USA. Phil resigned as a director when the firm merged with big 4 company, PWC. In 2010, Phil became a Director of the Mazda Foundation, an philanthropic organisation, which he has had an association with for over twenty years in an advisory and auctioneering capacity. A former board member, he is was involved with fundraising and played a role in allocating the funds raised for distribution to the much deserved, needy organisations. After nearly 8 years of service Phil resigned as a director but still supports the foundation in other capacities.